Professors Michael Gelb and František Tureček in the Department of Chemistry are being presented with the Gustavus John Esselen Award for Chemistry in the Public Interest for their work in developing a sensitive, specific, and inexpensive technique for detecting genetic diseases in newborns. Lysosomal storage diseases, a group of rare genetic diseases that affect about 1 in every 5000 persons, cause serious abnormalities in children, and often result in premature death. Using the fact that certain errors in metabolism can be detected by enzymatic assays, Professors Gelb and Tureček have developed a multiplex assay technique that uses tandem mass spectrometry to identify these diseases using blood samples that are already routinely collected. The new procedures are so reliable and inexpensive that several states are now mandating that every newborn be tested. The diseases include Gaucher, Krabbe, Pompe, Nieman-Pick, Fabry, and Hurler syndromes. Oftentimes they are evident in the first few years of life but sometimes not apparent until later. Early detection is important for the best chances of effective treatment. The Gustavus John Esselen Award for Chemistry in the Public Interest honors outstanding scientific achievement in scientific and technical work which contributes to the public well-being and has thereby communicated positive values of the chemical profession. The award is presented annually by the Northeastern Section of the American Chemical Society and has honored such publicly renowned chemists as F. Sherwood Rowland and Mario J. Molina (effect of chlorofluorocarbons on the ozone layer), Carl Djerassi (birth control drugs), and Kary Mullis (polymerase chain reaction). The Esselen Award is given to honor the memory of G. J. Esselen, past chair of the Northeastern Section and founder of Esselen Research Corporation. 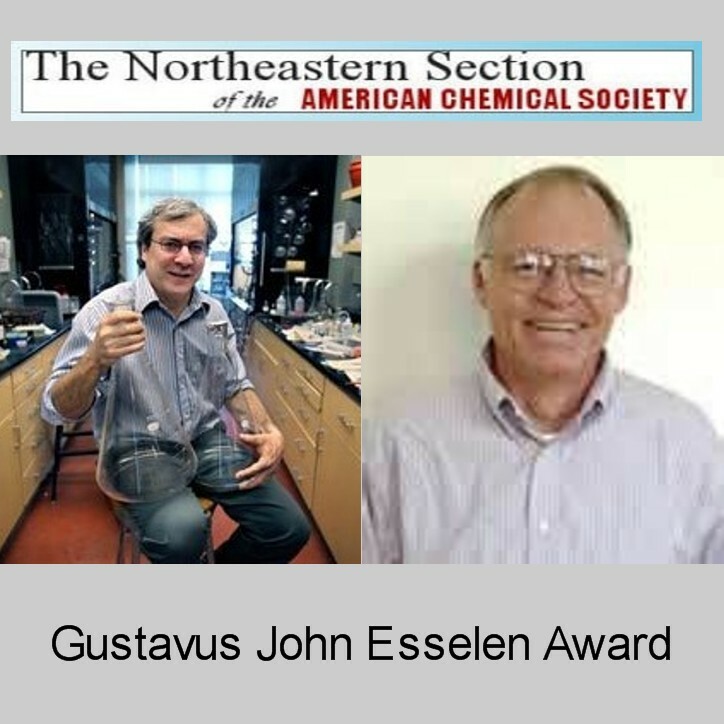 In recognition of their contributions, Professors Gelb and Tureček will receive the Gustavus John Esselen Award for Chemistry in the Public Interest on Thursday, April 4, 2013, in a ceremony at Harvard University’s Mallinckrodt Chemistry Laboratories at 8:00 pm. Free and open to the public, the award lecture, to follow the presentation, is entitled “The Chemistry of Next Generation Newborn Screening.” Further information concerning the award can be found on the ACS Northeastern Section website. To learn more about Professor Gelb, the Harry and Catherine Jaynne Boand Endowed Professor of Chemistry, and his research, please visit his faculty web page or his research group website. To learn more about Professor Tureček and his research, please visit his faculty web page.